Call us for professional transmission repair service! When you're in a tight squeeze with your vehicle, you need an auto repair company that's skilled and reliable. You need a towing service that can help you out from miles away and won't charge you an exorbitant amount of money for assisting you. That's why Mike's Auto Center in Moncks Corner, SC is one of the greatest places you can call. From transmission repair service to auto inspections and more, Mike's Auto Center encourages you to stop by today. We offer complete service and repair on all makes and models of vehicles. We are an authorized NAPA Auto Care Center and we also offer the lowest auto repair service labor rates in town. Whether you’re driving a foreign or domestic, gasoline or diesel car or truck, Mike’s Auto Center in Bonneau SC has the equipment and knowledge to get you back on the road as soon as possible. Our technicians at Mike's Auto Center specialize in providing quality transmission repair services. A proper diagnosis from our team will enable us to locate the source of the issue and perform necessary repairs. From running diagnostics to ensuring a perfectly functioning vehicle, we will efficiently handle all of your repair work. If you reside in Moncks Corner, SC and the surrounding areas, we are the reliable mechanics to turn to for quality transmission repair services. We pride ourselves in being your one stop truck or auto repair service center. We make car repair service quick, simple and stress free. We focus solely on your needs. That's why we give personalized treatment like no other. Our technicians really do care about your auto repair service, like it was their own. We understand that it's difficult to live without a car, especially if you need it to get to work. You'll find our transmission repair service unbeatable. Need emergency towing service? We can help! 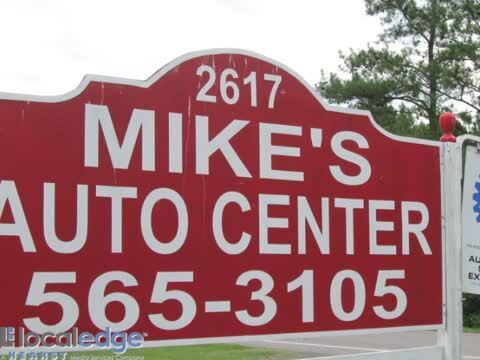 Mike’s Auto Center is conveniently located in Bonneau, SC, only eight miles from Moncks Corner, SC. We serve the entire Berkeley County area as well as its surrounding areas with a variety of auto repair and towing services. We are factory trained ASE Certified technicians and have over 25 years of expert auto repair service, transmission repair service, towing service, gasoline engine service and diesel engine service. Additionally, we have the most up-to-date, state-of-the-art computer diagnostic equipment in town. This equipment in combination with our high level of experience makes us more than qualified to maintain and diagnose today’s sophisticated and complex automotive technology on the road. Do you need scheduled maintenance on your foreign or domestic vehicle? No problem. Here at Mike’s Auto Center in Bonneau SC, we do it all! Give us a call! We are proud of our ability to solve your most complicated and challenging concerns with today’s vehicles. Our technicians are committed to properly maintain, diagnose and or repair your vehicle in a timely and cost-efficient manner. Come see the difference in quality and customer service from a privately owned and operated auto repair center that services your needs right away. Here at Mike’s Auto Center you'll receive the best transmission repair service in Moncks Corner, SC and the surrounding areas!